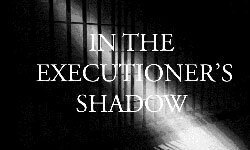 Read more about What is the method of execution in Oregon? Read more about Is there anyone currently on death row in Oregon? Capital punishment is legal in the U.S. state of Oregon. The first execution under the territorial government was in 1851. Capital punishment was made explicitly legal by statute in 1864, and executions have been carried out exclusively at the Oregon State Penitentiary in Salem since 1904. The death penalty was outlawed between 1914 and 1920, again between 1964 and 1978, and then again between a 1981 Oregon Supreme Court ruling and a 1984 ballot measure. Read more about Does Oregon currently have the death penalty?